Waterproof : Windproof : Washable! These NEW All Weather 'Full Underbelly' coats are a fully waterproof and wind proof. 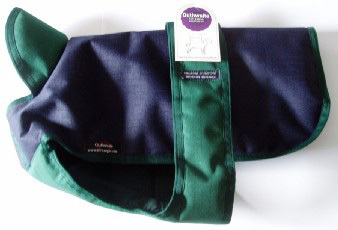 Manufatured from the quality 600D woven polyester in blue/green design and a padded lining these coats also have an adjustable neck fastening to make putting on even easier. They are manufactured with fully taped seamed edges and come complete with a padded lining for extra warmth and comfort. 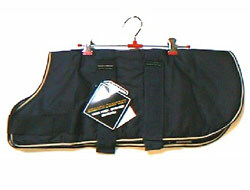 All coats are supplied with a generous velcro fastening.